The Alpe di Siusi / Seiser Alm offers in all seasons a great event program for locals and holidaymakers. 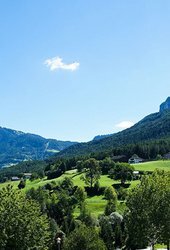 Both in the mountain pastures and in the holiday villages Siusi, Fiè and Castelrotto, there is always something going on. Music, culture and culinary delicacies in all their facets: this is how varied the events are in and around Alpe di Siusi /Seiser Alm. The Dolomites and South Tyrol offer holidaymakers plenty of attractions and unique experiences. Unfortunately, the holiday season is often too short to see everything that the travel guide recommends. To make your choice easier, we have selected a number of highlights for your stay in the Dolomites in South Tyrol.